It is hard to believe we have this type of hate, ignorance and racists in America today. However, this is such a small pocket of extremist hate on both sides of the political spectrum, right and left. This is what happens when hate meets hate. Thankfully, this is a minority of people, fringe groups, but you would never know that if you listened to the media. It is a sad state of affairs when the liberal MSM tries to point blame at everyday, average, run of the mill Americans who are Republicans, conservatives or are on the Right, with extremest, ignorant white supremacist, Nazi types. The sick MSM took the opportunity this weekend to call President Trump and in turn all who voted for him as racists too. REALLY? The LEFT and the Attack Trump media took this tragic event as an opportunity to spread their own division and hate. It is bad enough we have this kind of evil, hate and ignorance in America, do we really need the MSM fanning the flames and calling hard working, law abiding citizens who they agree with racists too? Oh the hypocrisy of the LEFT and the MSM … isn’t it them who remind us all the time that radical Islam is not Islam? We are constantly told that Islam is a religion of peace every time there is a terrorist event and that all Muslims should not be held responsible for the actions of the radical, extremist few. So what’s the difference? Nope, not when it comes to racism, some how the acts of white supremacists some how reflect the President and all whites who voted for him. REALLY? Or what about the Bernie Sanders campaign volunteer who opened fire yesterday in Alexandria, Va on Republican Congressman as they practiced baseball for an upcoming charity baseball game? Weren’t we told this was not a reflection of all of the LEFT? We were told by Sen. Sanders that he condemned these actions. Hell, this guy volunteered for his campaign and we give the LEFT and Sanders a pass. But oh no, not when the vile MSM and their sick divisive agenda is at work. Their double standard and hypocrisy is disgusting. HERO … Tennessee teen killed in heroic act while shielding others from random act of gang violence. So will we hear from the Black Lives Matter crowd and the race baiting charlatans with regards to the death of 15 year old Zaevion Dobson? Who is Zaevion Dobson, you ask? He is Scared Monkeys hero of the week. God bless your soul. As stated in John 15:13, Greater love hath no man than this, that a man lay down his life for his friends. Such was the case in Knoxville, Tennessee when Zaevion Dobson, a football player at Knoxville’s Fulton High School, was “struck and killed after he had jumped on top of three girls to shield them from the gunfire of a shooter. The three girls were not injured; however, this heroic young teen, described as as “success story”. Sadly, he is dead. Rest in peace Zaevion Dobson. UPDATE I: Suspects either killed or arrested. Brandon Perry, 23, died at the University of Tennessee Medical Center where he was taken after he rammed a black BMW through the brick wall of an East Knoxville apartment about 2 a.m., Rausch said. Perry and two other men were responsible, Rausch said, for randomly firing guns on Badgett Drive four hours before he crashed the 2002 BMW. Perry used the same BMW, Rausch said, when randomly firing rounds that struck Dobson. Christopher D. Bassett is a suspect arrested in connection with three overnight shootings that resulted in two deaths. UPDATE II: Tennessee Teen Zaevion Dobson Dies Shielding Friends From Gunshots. The violence came in three separate spurts Thursday, starting at around 7:18 p.m. 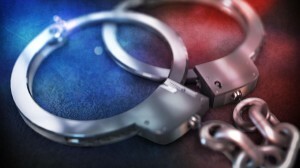 ET, Knoxville police said, when shots were fired at a house with two people inside: 46-year-old resident Lisa Perry and an unnamed 10-year-old. Perry was hit multiple times in the lower back, police said on Facebook, and was transported to the hospital with non-life-threatening injuries. The child was not hurt. 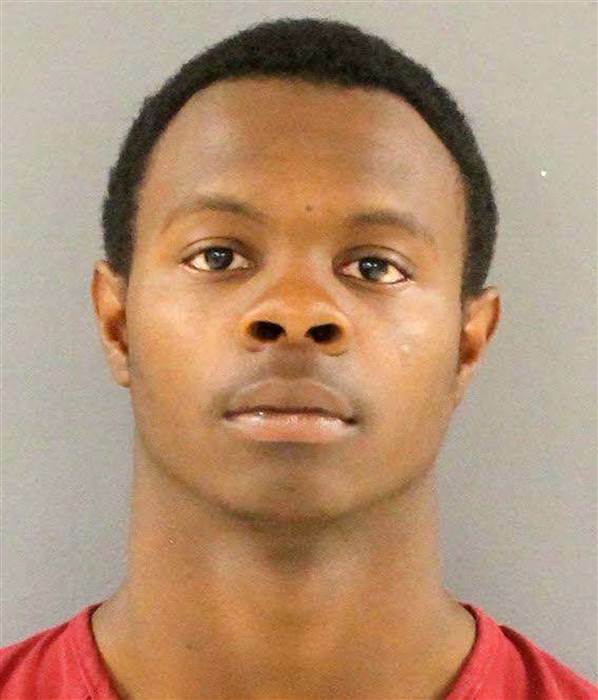 Then, about three hours later, Brandon Perry, Lisa Perry’s 23-year-old son, and several other men drove to another neighborhood in Knoxville and “randomly fired multiple times into a crowd,” police said. 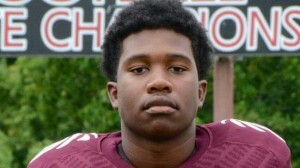 Those shots pierced Zaevion Dobson, a 15-year-old football player at Knoxville’s Fulton High School, who was “struck and killed after he had jumped on top of three girls to shield them from the shooters,” police said. The girls were not injured. The overnight shooting spree came to an end just before 2 a.m. Friday, when Brandon Perry was shot while driving a BMW. He crashed the BMW into an apartment and was taken to the hospital with serious injuries, which he later died of, police said. Two other men fled the crash, and were quickly taken into custody. One has been released. The other, Christopher D. Bassett, 20, was charged with being a convicted felon in possession of a firearm and violation of probation, and faces additional charges as the investigation unfolds. He is being held without bond. Check out the emotional police press conference discussing the death of Zaevion Dobson and his heroic act below by Knoxville Police Chief David Rausch. Don’t tell me that the police do not care about black lives. They very much do and especially when they make such sacrifices like Zaevion did in trying to save others from senseless gang violence. ARREST MADE IN THE SHOOTING DEATH OF 9 YEA OLD TYSHAWN LEE … GANG RELATED MURDER. 27 year old Corey Morgan has been arrested and charged with first degree murder in the shooting death of 9 year old Tyshawn Lee. The boy was shot in the face and back on November 2, 2015 as he headed to a park down the street from his grandmother’s house to play basketball. 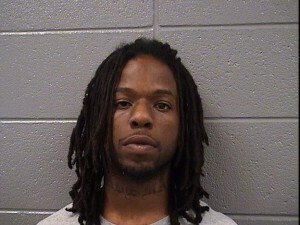 According to the police, Tyshawn Lee was lured into an alley in the 8000 block of South Damen Avenue on November 2, 2015 and killed because of his father’s gang ties. Police believe Tyshawn was killed in retaliation for the October 13 murder of Tracey Morgan, 25, who is the brother of Corey Morgan. The Chicago Police Department announced on Friday that they have arrested a 27-year-old Chicago man for the brutal murder of a 9-year-old boy who was lured into an alley and executed earlier this month. The suspect was identified as Corey Morgan, of Chicago, by the police department. Chicago Police Superintendent Garry McCarthy announced a 10 a.m. news conference to formally announce the arrest and charges against Morgan. Police said they believe Tyshawn was targeted because of his father’s gang ties. The father, Pierre Stokes, previously told reporters he is not in a gang and does not believe his son’s killing was retaliation. Stokes is currently on probation for a 2011 armed robbery conviction. He was arrested and charged in June 2014 with unlawful use of a weapon, but has pleaded not guilty to that charge. McCarthy previously described the Nov. 2 killing as part of a string of violence between rival gangs on the city’s South Side that started in August. The NY Daily News is reporting that a 14 year old boy, Christopher Duran, was shot dead while walking to school in the Bronx, NY on Friday. According to reports, the 14 year old was peppered with 16 bullets by a gunman wearing a red bandana who shot him multiple times at point-blank range. 14 year old Christopher Duran cried out “Mommy! Mommy!” as he was laying dying outside a Laundromat. Duran was shot once in the head and three times in the torso at Sheridan Avenue near East 167th Street at around 8:30 a.m. in Concourse Village. The authorities believe the shooting was gang related. Duran was no stranger to police, he had already racked-up five previous arrests, including possession of a knife, assault and battery, and robbery. A baby-faced Bronx teenager was executed on the street Friday by a gunman wearing a red bandana who blasted him multiple times at point-blank range — and without any warning. Fourteen-year-old Christopher Duran cried out “Mommy! Mommy!” as he was laying dying outside a laundermat, sources said. The hoodie-clad gunman may have been trying to “disguise what he looks like” with the bandana, he added. Where is Rev. Al Sharpton an the rest of the clan protesting this murder? UPDATE I: A surveillance image of the second suspect was released by police on Friday afternoon. Police are looking for two suspects who fled southbound on Sheridan Avenue. 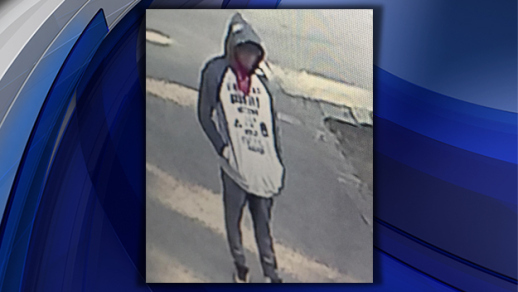 They are described as a black or dark-skinned Hispanic male wearing all black, and a Hispanic male wearing a light-colored hooded sweatshirt with dark sleeves, blue jeans and a red bandana covering his face, police said. A surveillance image of the second suspect was released by police on Friday afternoon. Investigators believe the shooting is gang related, but were not immediately sure if Duran was the intended target, or if the gunmen mistook him for someone else. “(He’s) trying to disguise what he looks like. It is a red bandana, don’t know what that means just yet. But it’s a very distinctive piece of clothing. I would hope that we put that out and somebody calls,” NYPD Chief of Detectives Robert Boyce said. If anyone has any information about the incident is asked to call the NYPD’s Crime Stoppers hotline at 800-577-TIPS. The public can also submit their tips by logging onto the Crime Stoppers website or by texting tips to 274637 (CRIMES) then entering TIP577.